SMC, a major contract manufacturer of pharmaceutical and finished medical devices, has acquired Oval Medical Technologies, a specialty pharmaceutical device company developing next generation autoinjectors based in Cambridge, UK. Oval’s autoinjector products use both cyclic olefin plastic and glass primary drug containers, and deliver both non-viscous and viscous drugs. The design of the autoinjector is intended to "provide patients with an ease-of-use solution for fast and simple two-step administration in emergency and non-emergency environments", according to the company. “We are excited to have Oval Medical Technologies within the SMC family. SMC’s years of experience in medical device contract manufacturing paired with Oval’s innovative approach to drug delivery combination products creates a complete solution for the pharmaceutical market. 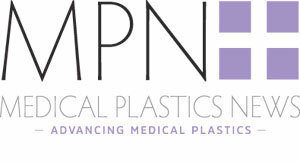 In addition to autoinjectors, the Oval team brings a wealth of knowledge and experience in the design, development and manufacturing of inhalation products,” said Chetan N. Patel, president and founder, SMC Ltd.
“Pharmaceutical companies require reliable customised devices for their high value biologics. As part of SMC, Oval will be well placed to provide customers with devices that meet their needs and those of their patients. The combination of Oval’s design and development capability and SMC’s capabilities in global manufacturing, will ensure a high level of reliability in product performance and a fast route to market. These capabilities are also important for the acceleration of the development of our innovative Epinephrine combination product. This small innovative, and reliable design is favored by patients who need to carry these potentially life saving products at all times,” said Barbara Lead, chief executive officer, Oval Medical. “SMC, as one of the leading global contract manufacturers of medical devices, gives Oval a fantastic opportunity to support our customers seamlessly from concept to full-scale industrialization, and provide class-leading quality and time-to-market. SMC and Oval have a deep range of capabilities and experience, which will benefit not only our pharmaceutical customers, but the patients and others who ultimately use these products,” said Matthew Young, founder and chief technology officer, Oval Medical.